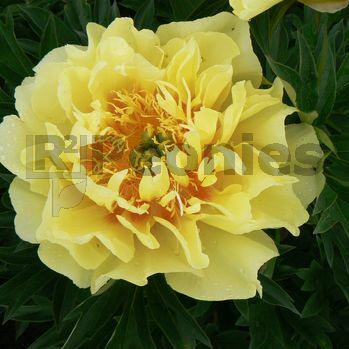 Bartzella is the most beautiful yellow double Intersectional hybrid Ppeony. With the light lemon fragrance is the Bartzella blooming in the midseason, with flowers up to 20 cm. Intersectional’s are also after the flowering period a welcome decoration while the foliage remain green until frost. The last weeks the foliage shows Indian Summer colours. Beautiful for landscaping in gardens and city parks all over the world. Bartzella is for sure the best yellow intersectional. All the new intersectional’s are no better than Bartzella.